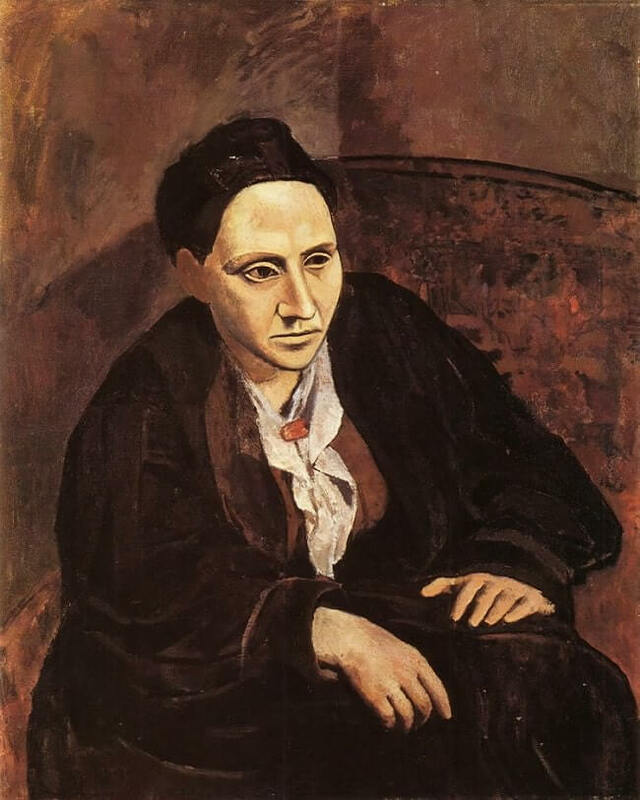 In the autumn of 1905, on his return to Paris from Gosol, Picasso at last succeeded in completing his adamantine Portrait of Gertrude Stein, which he had begun not long after his first meeting with the American writer. According to Gertrude, she sat for him 'some eighty or ninety' times before he abandoned it unfinished the following spring, by which time she and her brother Leo were well on the way to becoming his most important private patrons. But although parts of the portrait did go through a process of substantial revision, there is good reason to think that Stein greatly exaggerated the number of posing sessions, possibly in order to approximate to the sittings Ambroise Vollard claimed he had endured when Paul Cezanne painted his portrait in 1899. Whatever the truth of the matter, the portrait Picasso painted of her is a riveting and compelling characterization, and a tribute to her importance for him at this turning point of his career. 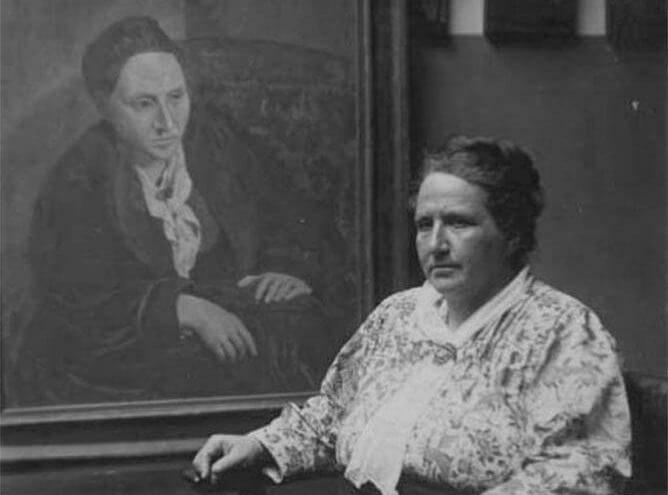 Stein was a formidable-looking woman - strong-featured, short, sturdy and heavy - and a formidable personality. A mutual fascination developed. In painting her Picasso needed to suggest the force of her character and mind as well as to describe her arresting appearance, and his almost fanatical concentration is suggested in her description of his stance as he worked: she sat on a 'large broken armchair' in the Bateau Lavoir studio while he 'sat very tight' on 'a little kitchen chair' and 'very close to his canvas', gripping 'a very small palette'. But the more he worked with her sitting in front of him, the greater became his problem of striking the right balance between a record of her actual appearance and a penetrating, meaningful interpretation of her personality. Undecided about the most telling pose, he repainted the head several times from varying angles, and then one day painted it out completely, complaining irritably, 'I can't see you any longer when I look'. Realizing he had reached an impasse, he abandoned the picture.